Guest Bio: Gary Epler, M.D., is an internationally-known pulmonary and critical care professor at Harvard Medical School. In addition to discovering bronchiolitis obliterans organizing pneumonia (BOOP), a treatable lung disorder, he discovered a new parasite in South America, chronicled the nutritional needs of North African children, and managed the tuberculosis refugee program in Southeast Asia. He has also written four books about health in the critically-acclaimed “You’re the Boss” series, has run seven marathons, and was one of the Boston Celtics’ team doctors. Dr. Gary Epler talks about his book “Fuel For Life – Level 10 Energy”. A discussion of what “Level 10 Energy” is and the several ways that an individual can attain energy, the efficient use of brain power, and nutritional aspects of an energy filled day. Some Of The Complications Associated With Steroid Treatment Of B.O.O.P. Guest Bio: Gary Epler, M.D., is an internationally-known pulmonary and critical care professor at Harvard Medical School. In addition to discovering Bronchiolitis Obliterans Organizing Pneumonia (B.O.O.P. ), a treatable lung disorder, he discovered a new parasite in South America, chronicled the nutritional needs of North African children, and managed the tuberculosis refugee program in Southeast Asia. He has also written four books about health in the critically-acclaimed “You’re the Boss” series, has run seven marathons, and was one of the Boston Celtics’ team doctors. Dr. Gary Epler discusses his discovery of B.O.O.P., a treatable lung disease. Touched on are causes, symptoms, and treatment. The Multisystemic Nature Of Fibromyalgia And How It Can Cause Physicians To Mistakenly Cease Looking For Other Serious Problems. 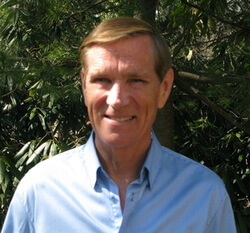 Guest Bio: Dr. Kevin White, a world authority on the condition known as Fibromyalgia. He is spreading the word about a new scanthat actually lets doctors “see pain” in the brain, where fibromyalgia resides. Dr. Kevin White has a medical degree, training in two specialties and a doctoral degree in medical research. He is an internationally known expert in the treatment and research of fibromyalgia. He is the award-winning author of BREAKING THRU THE FIBRO FOG: Scientific Proof Fibromyalgia Is Real. May 12 is International Fibro Awareness Day. Dr. White discusses the multisystemic nature of Fibromyalgia and how it can cause physicians to mistakenly cease looking for other serious problems. Also discussed are how routine testing for many problems appear normal in Fibromyalgia patients. He also touches on how patients can take control of their treatment. Dr. Kevin White discusses what Fibromyalgia is and how it affects the lives and relationships of patients diagnosed. He also talks about the attitudes of some healthcare providers concerning the disease and how those attitudes hinder diagnosis and treatment. 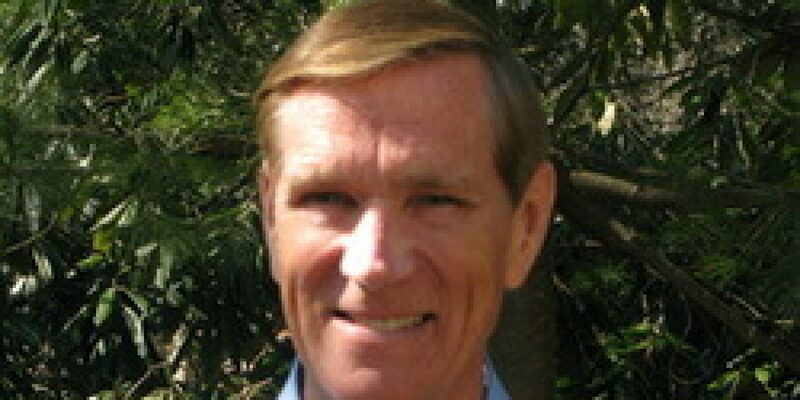 Guest Bio: Dr. Kevin White, a world authority on the condition known as Fibromyalgia. He is spreading the word about a new scan that actually lets doctors “see pain” in the brain, where fibromyalgia resides. Dr. Kevin White has a medical degree, training in two specialties and a doctoral degree in medical research. He is an internationally known expert in the treatment and research of fibromyalgia. He is the award-winning author of BREAKING THRU THE FIBRO FOG: Scientific Proof Fibromyalgia Is Real. May 12 is International Fibro Awareness Day. Dr. White discusses how he became interested in the study and treatment of Fibromyalgia. Also discussed are some causes of the disease and how genetics play a role in the developement of Fibro. Guest Bio: Dr. Sheldon T. Ceaser has been practicing medicine in Chicago for over 26 years. He is a board certified physician and has embraced a holistic practice for the past 10 years. Dr. Ceaser offers a unique and specialized treatment for anxiety, stress, feelings of nervousness and feeling overwhelmed. He has had positive results in treating depression and stress in his patients using positive affirmations. He has just published a book entitled “The Most Powerful Book of Affirmations Ever Written.” He wrote the book to help people bring more happiness, abundance and less stress into their lives by helping them change what they believe about themselves and their circumstances.The book is currently available through Amazon’s bookstore. Dr. Sheldon Ceaser discusses how he became interested in holistic methods of treating his patients. Also discusses how simply treating symptoms is an inadequate approach to healing. Dr. Poirier Discusses His Particular Type Of Brain Cancer And What Led Up To His Diagnosis. Guest Bio: Paul Poirier is a chiropractor, motorcycle enthusiast and brain cancer survivor who turned his personal strugglesinto a way to help others. He’s working on an international ride with Bikers Against Brain Cancer across the U.S. andCanada. His upcoming documentary, THE TEST OF A MAN, is narrated by Ian Anderson and contains a clip from one of Schwarzenegger’s movies. His book by the same title will be released later this year. Visit www.drpaulpoirier.com and www.bikersagainstbraincancer.org. Dr. Poirier discusses his particular type of Brain Cancer and what led up to his diagnosis. He also talks about some of his experiences as he lives with a terminal disease. Dr. Poirier Discusses Complications With His Surgery And What Treatments Were Required. Dr. Poirier discusses complications with his surgery and what treatments were required. Also discussed are his Brain Cancer Awareness effforts and fund raising activities. Methods By Which Patients Can Determine How And When To Choose Psychiatric Help. Guest Bio: Paul Poirier is a chiropractor, motorcycle enthusiast and brain cancer survivor who turned his personal struggles into a way to help others. He’s working on an international ride with Bikers Against Brain Cancer across the U.S. and Canada. His upcoming documentary, THE TEST OF A MAN, is narrated by Ian Anderson and contains a clip from one of Schwarzenegger’s movies. His book by the same title will be released later this year. Visit www.drpaulpoirier.com and www.bikersagainstbraincancer.org. Dr. Poirier discusses his enlistment of celebrity support in his fund raising efforts. He also touches on how implementing Chiropractic techniques, positive outlook, and community involvement help patients to cope with terminal illnesses on an emotional level. Also discussed are methods by which patients can determine how and when to choose psychiatric help.